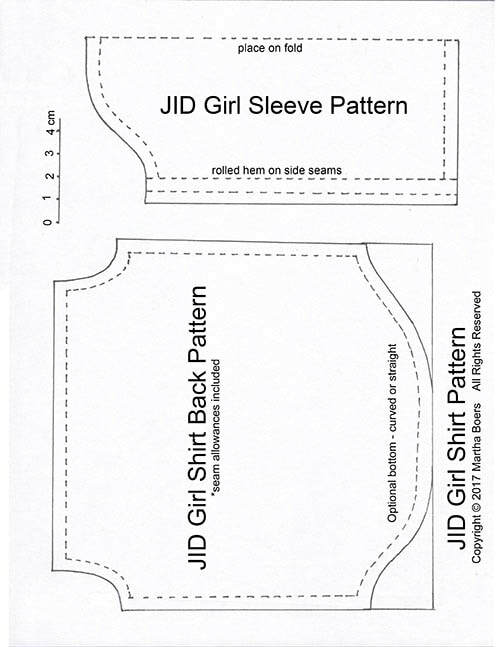 This pattern was designed to make a loose-fitting shirt that will fit an Iplehouse JID girl with all the various bust sizes. Isis has a Large bust and wears a shirt made from the Guy's pattern, but shortened in the arms and length. ​2. 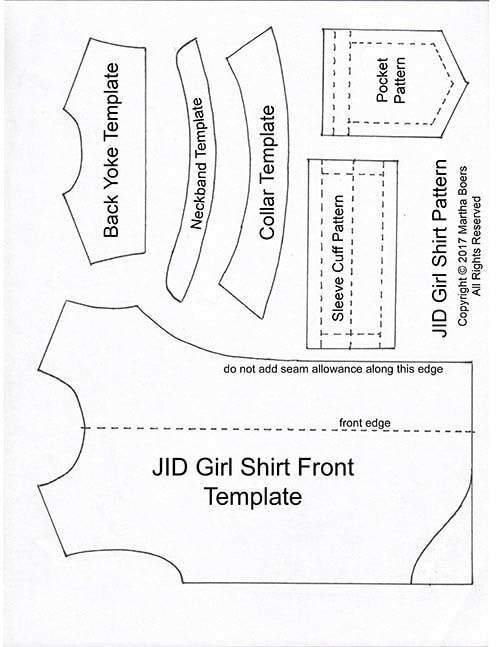 From here, the instructions are exactly the same as for the JID Guy's Shirt - click on photo below. 3. 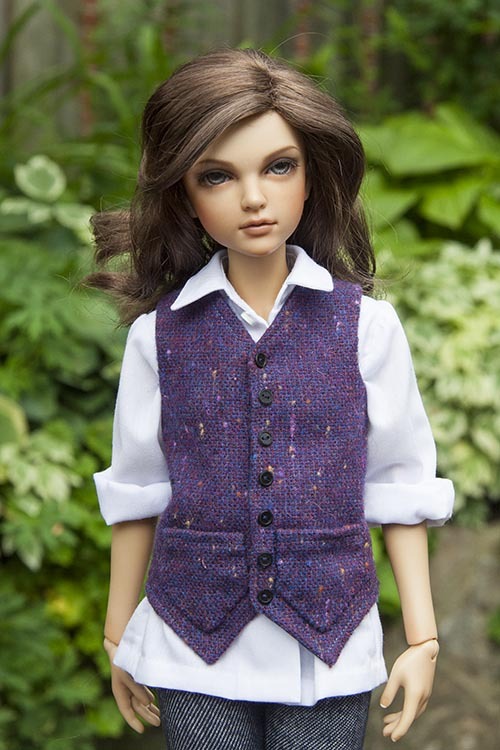 The main difference between the Girls and Guy's shirts is the length of the sleeves, and length of the shirt itself, the Girl's shirt itself is a little smaller at the hips, and the sleeve opening at the cuff is done differently. The girl's shirt has been done the easy way. 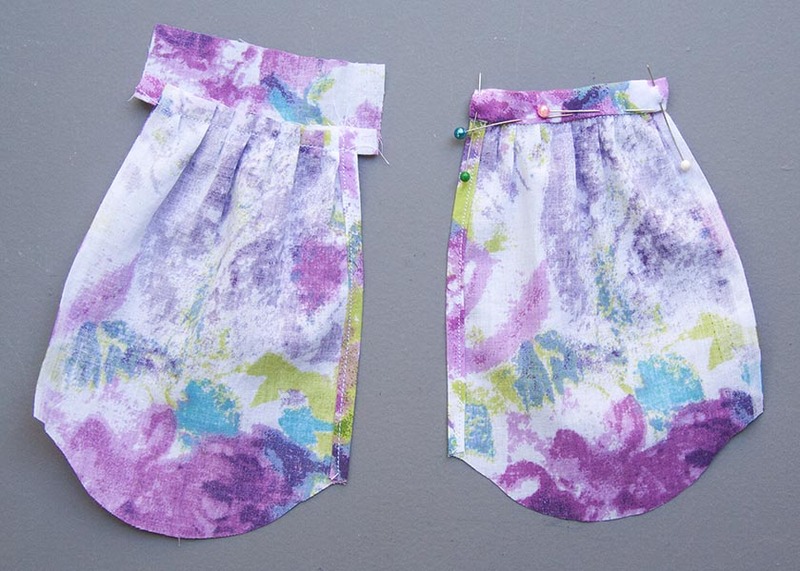 The pattern for the Girl's sleeves is wider to allow for a rolled hem on both sides of the sleeve. This is to give both sides a finished edge. 4. 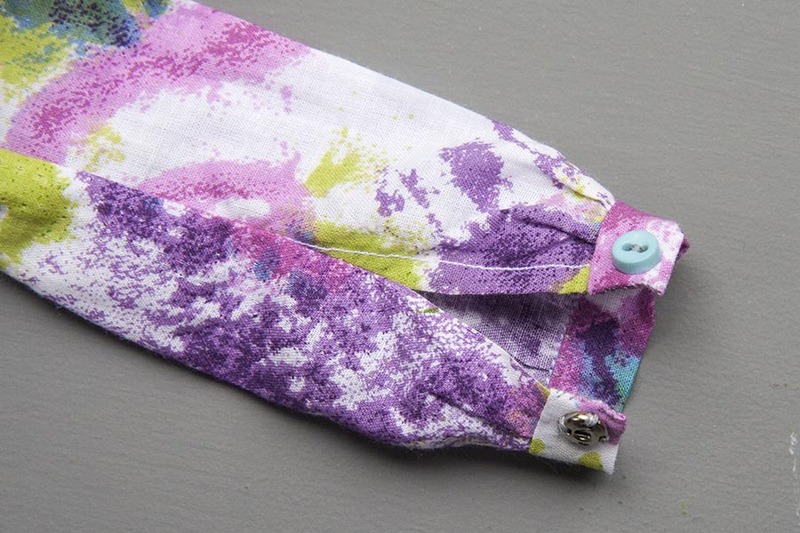 Later when sewing the underarm seam, you stop about an inch and a half from the cuff, leaving that end open. 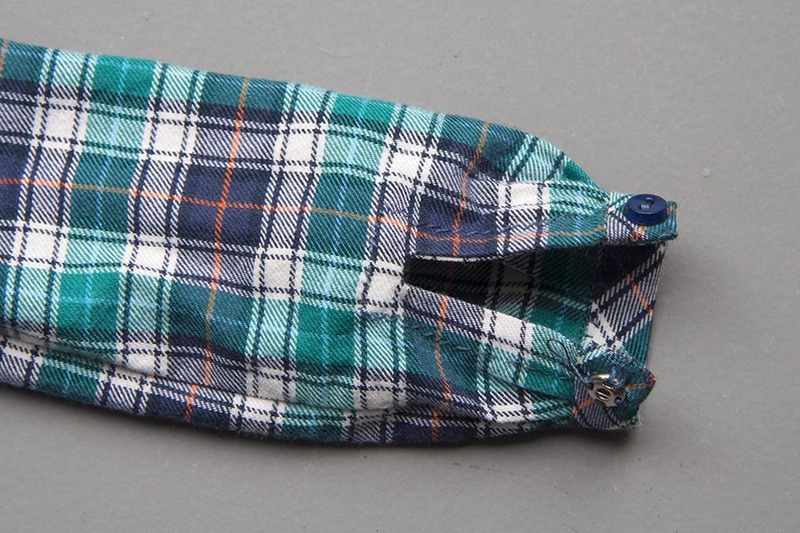 However, if you really want to make a bound opening in the Girl's sleeve instead of with the easier split in the actual seam, just cut out the bound facing patterns from the Guy's pattern page, and follow the instructions there.